1. No jerks allowed – You have to subvert your ego and abide by the golden rule – treat others the way that you would like to be treated. 2. No class structure – Aleksander Kilde explains that there is no pecking order on the team. They treat each other as equals, whether someone is a champion or a rookie. 3. The social quality of the team is of primary importance – you must act in ways that preserve the collaborative environment within the team. People share knowledge and best practices with one another, rather than hording information and keeping secrets. They try to help each other achieve their personal best. 4. Talk to each other, not about each other – Don’t go behind other’s backs with complaints. Have honest conversations directly with one another. 5. Friday night is taco night – They step away from their busy schedules to share a meal together every Friday night. 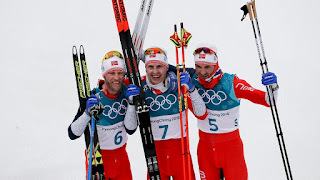 Clearly, the five rules do not explain all of the Norwegian team’s success. However, they do offer a good template for how to begin building a better team, even if you are far from an alpine ski course.